We are not only portrait photographers, we are Cheyenne real estate photographers. Our process of working real estate projects allows us to operate very quickly. As a team we are extremely efficient and provide MLS ready images within 24 hours so that you may get your listing out there for the world to see. We also specialize in shooting twilight, high dynamic range images of your home. All of our real estate photography is shot with a professional camera and a wide angle lens. This lens is very specific for real estate and a must for high quality images featuring the entire room in one frame. 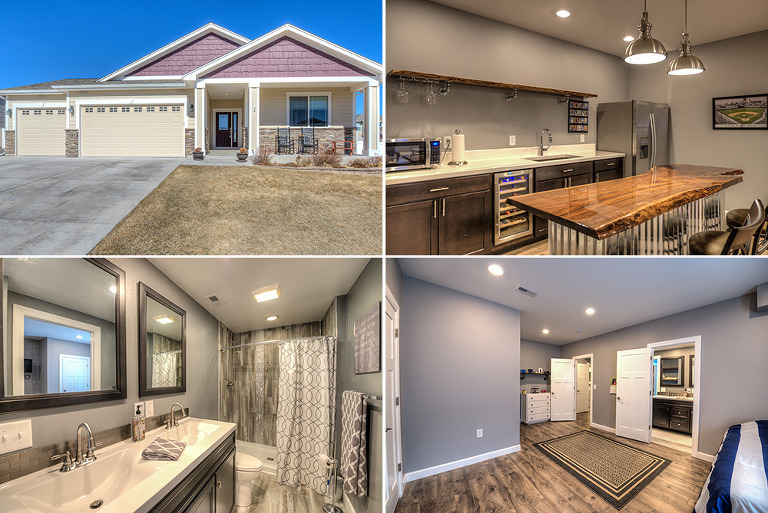 This beautiful home of Cheyenne located in The Pointe was listed by Kuzma Success Realty. This Ranch styled home featured a stunning basement renovation with a huge floor plan. The value of great real estate photography to sell a property can make or break a potential buyer from coming in the door. Their first impression of a home is from the photos on the internet. Many Realtors have invested in a camera to take some decent shots of their homes but they’re not professional. We provide all the gear, knowledge and expertise to create beautiful HDR images of your listing. We want your listing to shine above the rest and highlight the homes best features like the upgraded appliances, custom designed landscaping, barn wood sliding doors and man caves worthy of a feature in Ideal Home. The images of a home can mean the difference between selling the home for top dollar of having to lower the asking price because it has been on the market for too long. We are motivated to provide Cheyenne Realtors the best service possible and set the standard in Cheyenne real estate photography. Custom man cave renovation featuring a reclaimed wood wall and and fireplace. Shooting real estate photography is one of our favorite weekday jobs. Here in Cheyenne, WY we will provide exceptional images and even photograph your home on short notice. Since we are a full time photography duo, many times we may be available to shoot your home within a few hours. 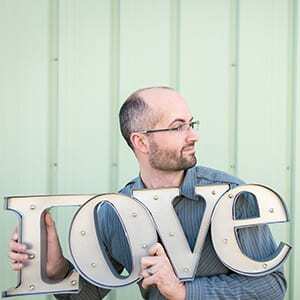 Riveted Photography is one of the best Cheyenne real estate photography studios located in Downtown Cheyenne. We would be happy to meet with any Cheyenne Realtor to discuss future projects and their vision for growing their real estate business. It all starts with having a great headshot. At our downtown studio we provide headshots M-F from 9 am – 7 pm by appointment. Just let us know when you would like to come by! Contact us for availability and immediate response using this real estate form below. Cheyenne real estate photography featuring a beautiful older home with modern decor. Added concrete beside renovated garage provides the perfect patio setting. Outdoor exquisite fireplace add-on provides a warm place to curl up at night with the loved ones. From original design to now this home has impeccable charm. The garage renovation to new living room divides the house nicely and yet is all connected. As Cheyenne commercial photographers we really pride ourselves on working as a team to create beautiful imagery of your home, office, product for your business, whatever your needs we have you covered. We can meet you in our office or come to you, to explore your vision or branding ideas. Providing local businesses with the tools they need for success is what we love. From small business to small business we know how challenging selling something can be. Riveted Blog is a record of awesome couples who tied-the-knot, endearing engagement sessions, our own love story, the best dog ever and of course renovating our 2003 Airstream Classic. Let the inspiration flow to make way for your dreams.